...meet a delicious TOP seller. Dark, dense & intensely good. Handmade brownies baked using single origin chocolate from Madagascar & Colombia. 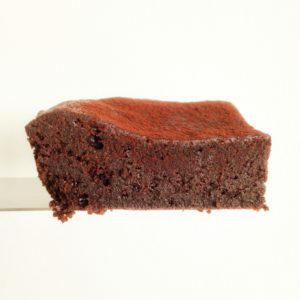 Listed in article by Delicious Magazine as ‘12 Brownies in the UK that you have to try. All baked to a gluten free recipe. 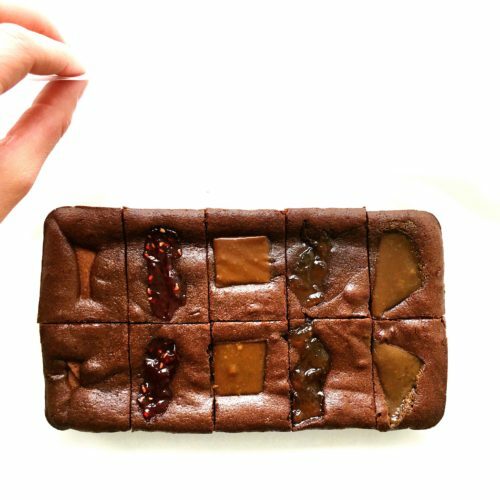 Eat better brownies. I’m Lou Cox, super passionate head brownie baker & founder of B is for Brownie launched in the Summer of 2015. The business was born out of a desire to do something for myself, however small. I wanted to create a different kind of chocolate brownie, something grown up which showcased the main ingredient, chocolate. I bake with single origin Madagascan chocolate from the forests of Sambirano & Colombian from Tumaco, two very different flavours. The experimentation began in my kitchen with friends & family being subjected to repeated rounds of taste testing. 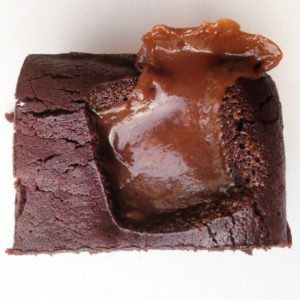 I dialled up the chocolate content to beat other brownies on the market resulting in something a little unexpected……deep, dark & truffle rich, certainly not for the faint hearted! To find out more about my recipe head to my ingredients page. Order your single origin chocolate brownies online and I will personally bake, cut and wrap and post to ensure that you receive the very best chocolate brownies possible. Every half kilo slab of chocolate brownies is handmade to my very own gluten free recipe and each slab contains a very generous quantity of fine single origin chocolate. 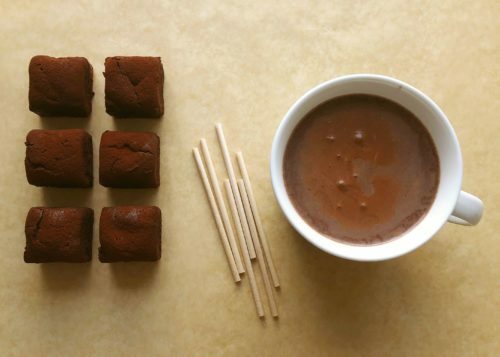 All brownies are loving prepared & beautifully wrapped. Prices displayed include delivery too!. If you require a greater quantity of brownies for an event or special occasion please email me at hello@bisforbrownie.co.uk. I look forward to hearing from you.